Nelson built this pirate-themed treasure in the trees—complete with radiant floor heating— just outside Seattle. There’s a lot to be said about seeing the forest for the trees. Most of us strive for it, but Mineola native Pete Nelson has dedicated his career to it. 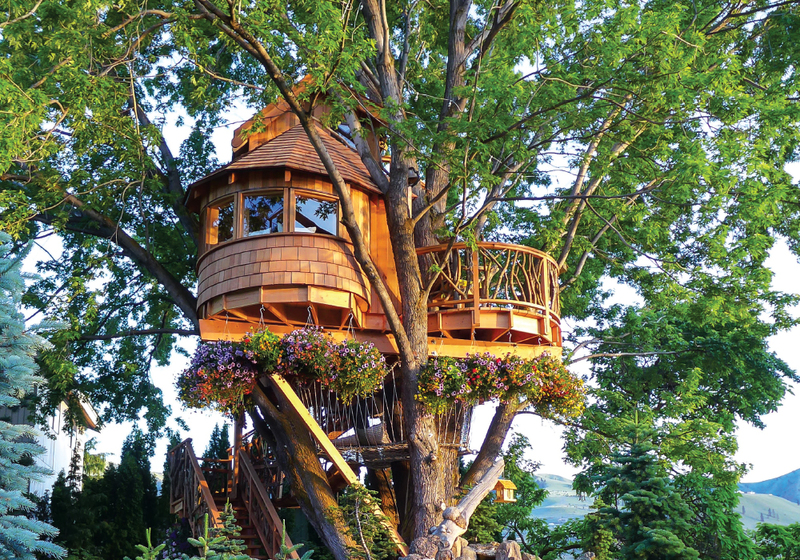 The “tree whisperer” has in recent years found fame and success building some of the most exceptional tree houses in the world. On his Animal Planet show, Treehouse Masters, Nelson, 54, is summoned to build unique structures for clients seeking to reconnect with the outdoors. In helping others create their dream tree homes, Nelson has also gotten closer to his Long Island roots, where his passion for carpentry and nature was born. “My dad, he was the one who really got me excited about the forest. We spent a lot of time doing nature walks,” Nelson said, noting that his father studied forestry up- state. Together they built Nelson’s first treehouse when he was 5 years old, using a couple of two-by-fours, a hammer and a screwdriver. But it was the time he spent with his grandfather that set Nelson on the journey to becoming a world-renowned treehouse building expert. After his family moved away from Long Island, Nelson returned each summer to visit his grandparents in Brookhaven. He and his grandfather spent hours each day tinkering in his small shop, sailing across the Great South Bay and bonding over a shared love of the New York Mets. “He and I built model boats. They were small, like, at most a foot long, and we would get into the nitty-gritty, cut up some skivvies for the sails. It was paradise. And I recognized…that I really loved working with my hands. I think that’s where my builder’s instinct was started.” Nelson also credits Brookhaven artist, sculptor and treehouse designer Michael Ince as an early influence. “He’s just a genius and a free-spirit builder. He creates these very special, warm living spaces and practical spaces,” Nelson said. Using salvaged items, like old church windows and pieces of disused water tanks, Ince spent years building and remodeling a treehouse on the edge of a marsh near his home—a structure Nelson described as “Shangri-La” that is known as the Marsh House. 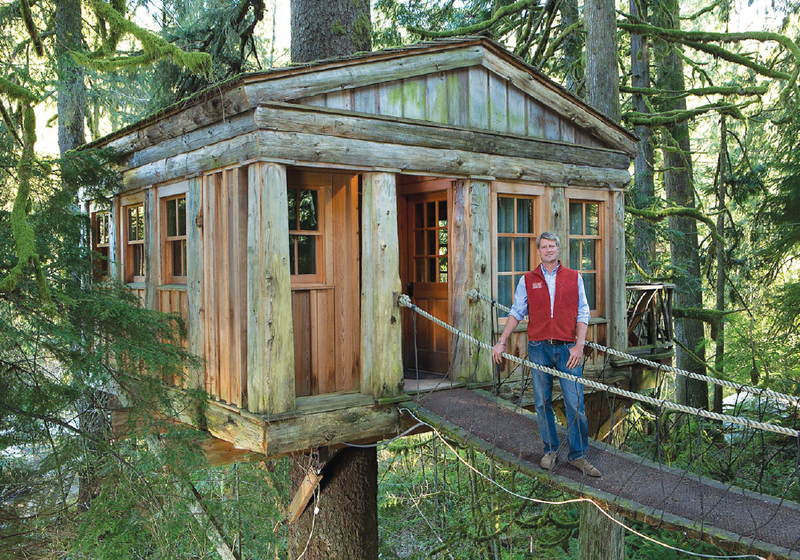 Treehouse master Pete Nelson is not just building castles in the sky. Similar to the Marsh House, it took time for Nelson’s career to evolve. Though he earned a bachelor’s in economics at Colorado College, he continued to work with his hands after school. He took seasonal and temporary carpentry jobs, opened a deck-building company with his friends, owned a skateboard shop and worked in a pizza parlor. 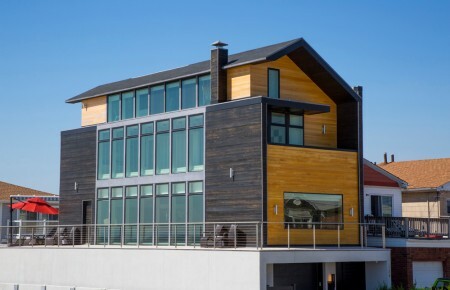 He then moved to Seattle and put together a business plan to become a builder specializing in single-family houses and obtained a bank loan. “I had a great cutting of the teeth, so to speak, building single-families, working with engineers and architects, and getting permits and things.” Then, he took a leap of faith and started building structures in the trees. Another of Nelson’s masterworks is perfectly placed within the stems of a silver maple overlooking a bay. As he learned more about the ins and outs, Nelson’s appreciation for trees continued to bloom. “I was attracted to well-being and being up in a canopy or the branches. Just being in the outdoors.” He was also particularly pleased with the way trees handle the heavy-duty equipment involved in building. In his two-and-a-half decades in the field, Nelson has seen proof time and again that treehouse-building is a “viable form of architecture and design,” and he’s proud to be at the forefront of the movement making them mainstream. Nelson spends time on Instagram, following about a dozen builders and treehouse clubs to see how the genre is evolving. 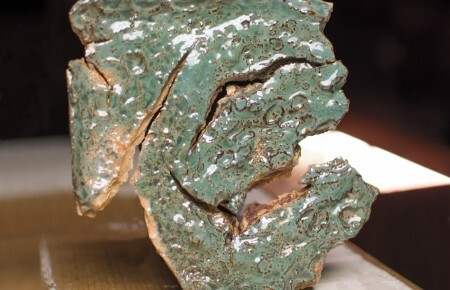 To create authentic and unique pieces, he encourages them—and others seeking to delve into the trade—to try new things and make mistakes. “Get out there and maybe bash your thumb. You build something and it doesn’t look like what you were thinking it might look like, but it looks better. It’s cooler, it’s real, it’s yours.” He encourages builders to experiment and push limits, like meeting a request to install an elevator. But he remains adamant about two things: respect and safety. Picking the right trees and treating them with consideration is key to sound building. Nelson cautioned that a tree is a living organism, making it vital to use only those that have been tested and are strong. Each contruction holds a special connection for him, but none quite like Treehouse Point, the bed and breakfast he runs with his family in Fall City, Wash. Built atop 4 acres about 30 minutes from Seattle and featuring six tree houses, it’s Nelson’s refuge. Operating the place is a family affair and his three adult children, 26-year-old Emily and 24-year-old twins Henry and Charlie, work with him to promote the business. 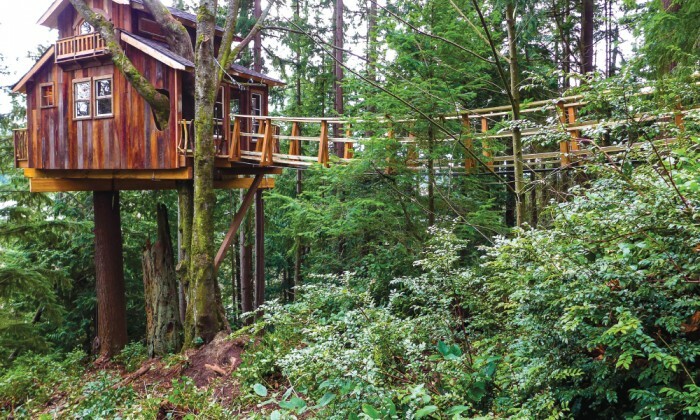 The family is also gearing up to expand their treehouse empire with a new resort and spa—the subject of the premiere episode of the fifth season of Treehouse Masters, which aired in early July. As far as Nelson is concerned, this is still just the beginning and there’s plenty more to come, possibly even on Long Island, where he wants to build a tree house hotel. Indeed, the builder’s mantra seems to be to take things higher and higher.